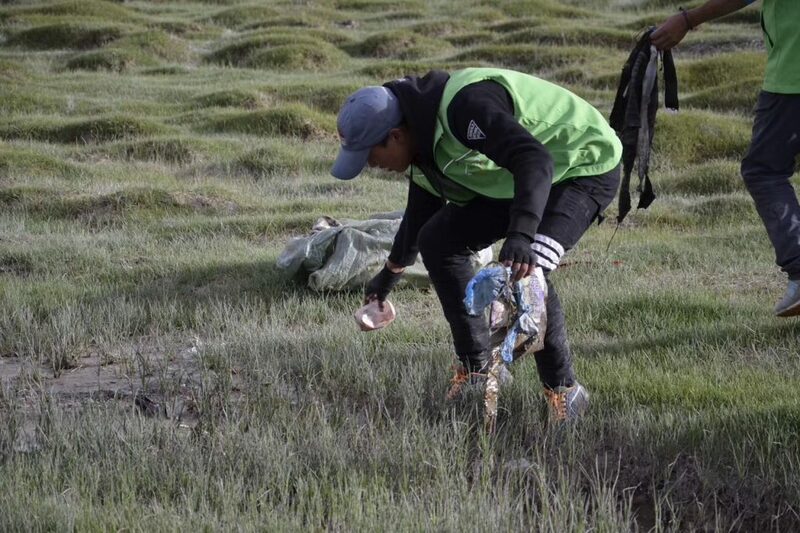 Losal: “Tibet Universal Tours and Travel puts great importance on the promotion of responsible and sustainable tourism practices. We always strive to ensure that our tour service delivery will have a minimum level of negative social, economic, environmental and culture impacts. 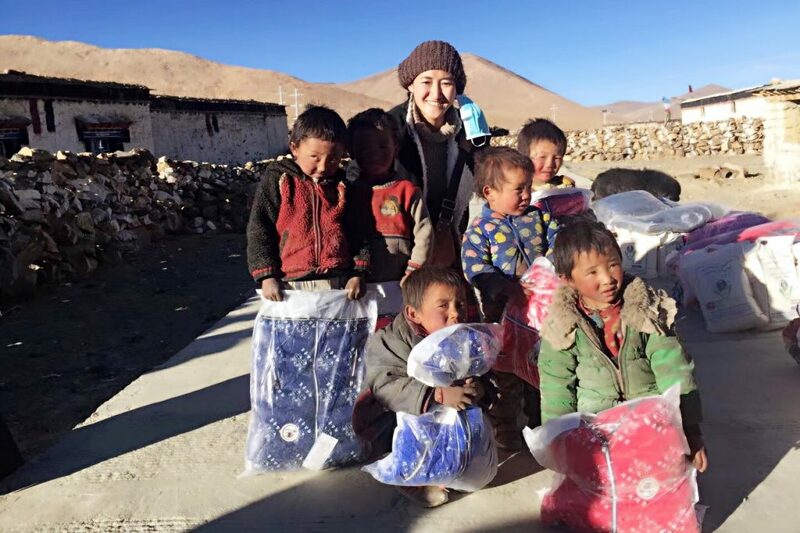 Whenever and wherever possible, we extend charitable support to disadvantaged groups in remote Tibetan villages. 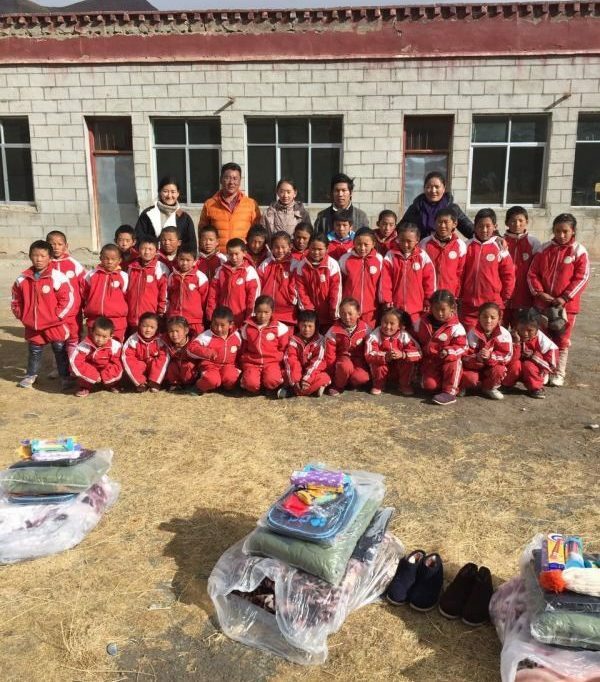 For instance, utilizing certain percentage of our annual company income we purchase and distribute warm winter clothes for children in rural Tibetan primary schools to keep them warm and happy, and to avoid preventable communicable disease like cold. Missing class due to sicknesses is quite high prevalence among school children during winter time in Tibet. We believe that every person deserves access to quality healthcare. 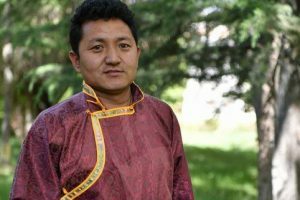 To this end, we extend our help on medical expenses to those serious patients who are from remote and rural Tibetan villages and cannot afford to pay their medical treatment when the treatment costs goes beyond the local medical insurance coverage. In support of contributing to the local economy and to give the local population a central role in the touristic economic development of their own territory, we always strive to ensure that the economic benefits of tourism should go for local communities and poverty alleviation by generating financial benefits for both local people and private industries. For instance, we always use locally owned ground transportation and accommodation (i.e. hotels, lodges, and guesthouses). We recommend local eateries, restaurants, and stores to our guests. In addition, we are an indigenous local Tibetan travel agency based in Lhasa, the capital city of Tibet. 100% of our travel company employees are professional local Tibetans including local tour guides and drivers. 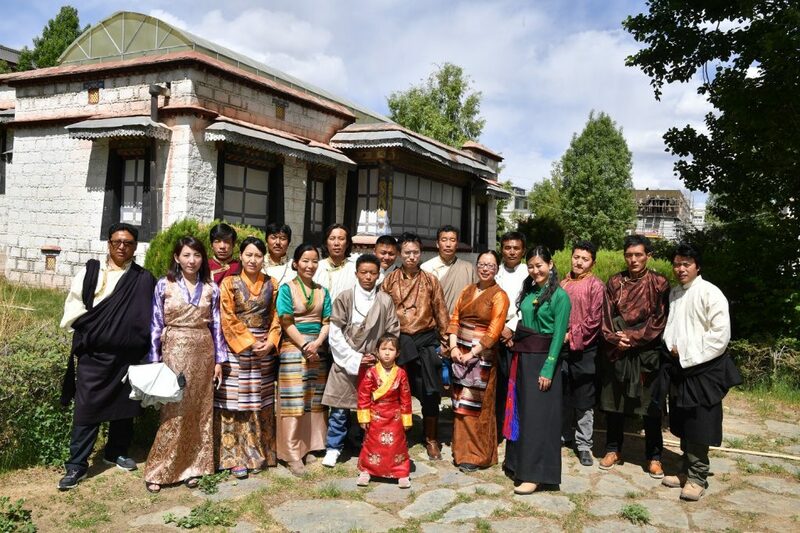 This has created employment and job security opportunities for many educated and inspired Tibetans. 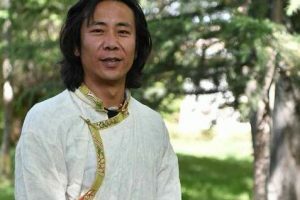 Tibetan Buddhist reality is profoundly ecological, and Buddhism itself is an ecological religion. It powerfully expresses human identification with nature. Buddhists believe that all things, including humans, exist by their interrelationship with all other parts of nature. To think of one’s self as isolated from the rest of nature is be unrealistic. 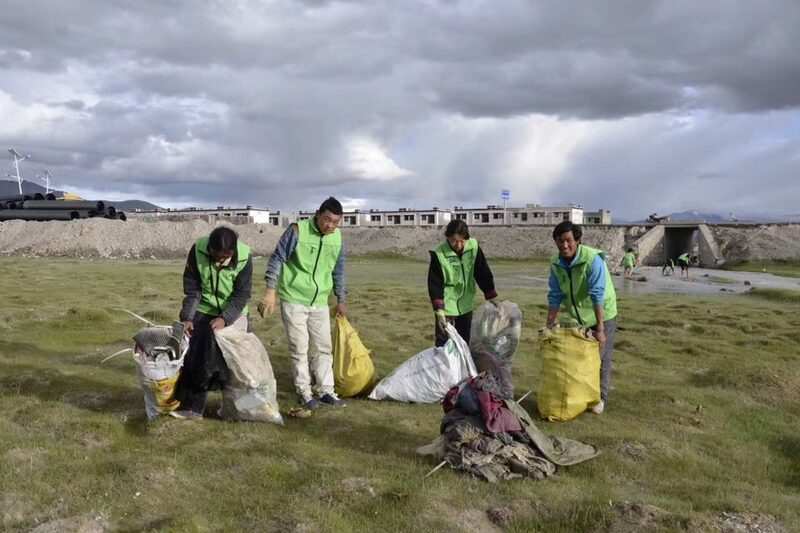 Don’t litter, try to carry your own shopping bag to avoid plastic garbage problem, manyTibetan local villages do not have environmentally sound garbage disposal systems,therefore pack garbage out to a larger town where there is a facility. Try to avoid excessive use of plastic bottles, travellers are requested to bring reusable waterbottle and we will arrange and supply you drinking water in a bigger container. Respect cultural differences – and learn from it! People in different places do thingsdifferently – don’t try to change them – enjoy them. Support the local economy. Buy locally made souvenirs, eat at local restaurants – enjoy thelocal culture. 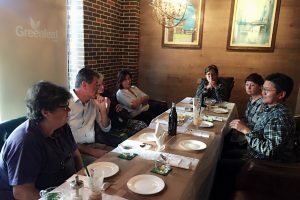 Support responsible tourism organizations – those travel operators who publicly are aimingto make tourism more responsible. My background is in the international development sector and I also have over 18 years of work experience in the charity sector. I speak English and Chinese fluently, in addition to my mother-tongue, Tibetan. Furthermore, I have over 15 years’ administration and business portfolio experience, events organization, and HR recruitment processes. In addition to taking management responsibilities of the agency, I specialize in the design and delivery of tours for international tourists. Moreover, I am very excited at spreading the benefits of culturally and spiritually enriching tourism to international visitors. I have a varied background in communications and marketing in the tourism industry, as well as business. I also have a particular interest in sustainable tourism. I speak Chinese, English fluently, in addition to Tibetan. I have over 15 years of eco-tourism and hospitality management experiences. Furthermore, I have worked on various projects related to tourism, and emergency preparedness and response in the charity sector. I currently look after marketing, communications and quality assurance of both our domestic and international tour portfolio. I’m a registered tour guide, and I have worked as a tour guide for over nine years. Prior to being a tour guide, I had worked in development sector (International NGOs) for nine years. My passion for travel and adventures brought me to the tourism field. Over the years, I have led numerous international tourists around Tibet showing them and interpreting the cultural and natural heritage. I speak Tibetan, Chinese and English – and a fair amount of Spanish. I have a genuine interest for travelling, studying Buddhism and understanding foreign cultures. In my spare time, I enjoy reading books, listening to music and watching movies. 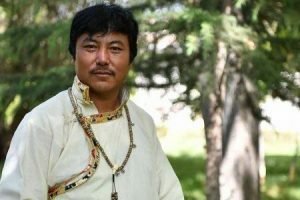 I have worked as a tour guide for over 11 years and am very experienced in escorting international tourists on expeditions and tours to must-see, best-loved sites in Tibet. What has brought me to the tour guide occupation is that I have vested interest in learning about my own rich culture and introducing them to guests from all over the world. 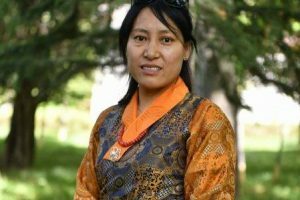 As a registered tour guide, I have completed all major tourism training with Tibet Tourism Bureau. I speak English fluently, in addition to my mother-tongue. 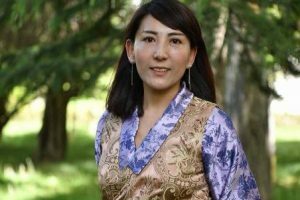 I love to read and also take a great interest in traditional Tibetan culture and travelling around. I’m a native Tibetan born and bred in Lhoka, the birthplace of Tibetan civilization. Before becoming a tour guide, I worked in the charity for three years or so. Then, out of an appetite to see a change in my career path, I thought to step into the tourism world and so I decided to be a tour guide. Time has really flown away; I have already worked as a guide for 14 years. I have travelled extensively around Tibet and hosted many international tour groups on treks and overland cruise. 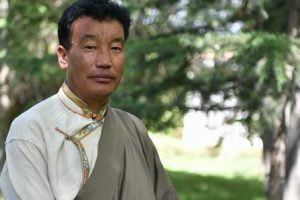 I have a vested interest in both the traditional and modern Tibetan arts and crafts, as well as Tibetan Buddhism. I come from Lhasa. 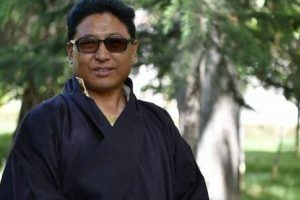 I have been a driver for 14 years and travelled all over Tibet. Over the years I have come across many interesting clients. They are including tourists and pilgrims who have their own unique travel experience and expectations. Over the years, I have taken on many successful ‘assignments’ for a variety of tour agencies in Tibet. I’m originally from East Tibet. I have been a professional driver for 23 years and travelled extensively all over Tibet. I’m very familiar with the terrains and travel routes in almost every corner of central and western Tibet. I always do my best to create a safe, comfortable and satisfying overland journey when I drive my clients around. I come from Gangzi in Eastern Tibet. I have been a professional driver for 16 years and driven around a lot places in Tibet. I always put the safety and security of my clients first and foremost when driving around. 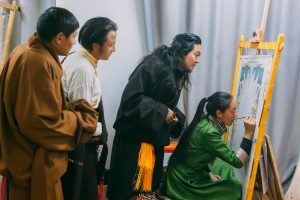 Over the years, I have completed many successful ‘assignments’ for a variety of tour agencies in Tibet. I only went to school briefly and spent most of my childhood at home helping my parents with domestic chores. 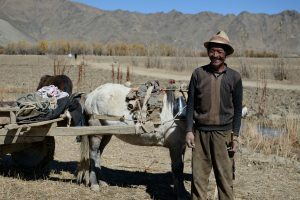 I was the shepherd of my family for a time, before coming over to Lhasa, where I now live permanently. But I always had this desire to be able to travel extensively and be a professional driver. I have been a driver for 14 years and have driven off-road motor vehicles (4x4s) for most of that period. I’m very familiar with travel routes in Tibet. I dearly value the satisfaction of my clients, and to this end I put in a lot efforts. 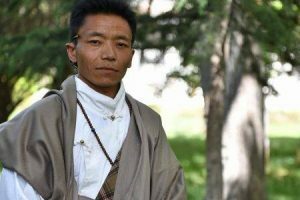 My name is Gopo and I come from rural East Tibet. 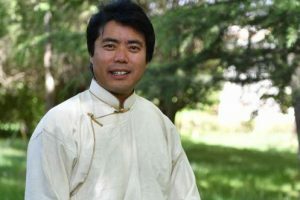 I now live in Lhasa and I have been a driver for over 15 years. I have driven around Central and Western region of Tibet extensively. 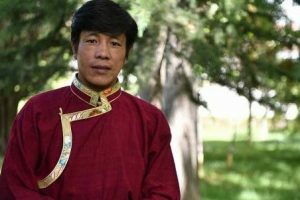 As a professional driver, I enjoy ‘transporting’ people from one location to another location, especially locations that mean so much to them in a dream tour to Tibet, which they desire to reach and make a lifelong memory of.